"Awesome and the Best of Best Experience ever with a Dealer"
Joe Abenante sold me a a very nice Jeep Sahara and i was not the easiest to deal with i had my eye on several Jeeps but in the end would say no i'm sure i drove them a little nuts but Joe kept his eye out and found me the one i finally bought. in my opinion Joe was a real pro and easy to work with . I have just bought my 2019 Jeep Compass Sport today and i have to say that i was very impressed by the overall attention to customer service that WIllowbrook supplies at both their used lot and new lot. I spent 3 days off and on there going and coming and every time every employee i noticed was smiling and so full of conversation to just engage in a simple "HI". The team is amazing, the service was amazing and i absolutely loved dealing with a lady sales person - sorry to the men but Ashley was so wonderful when i left i felt that i had gained a new friend. Great job Willowbrook !!!!!!!!! 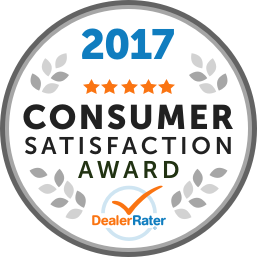 "Willow brook Chrysler - Dodge Grand Caravan 2013, used"
We were greeted first, by Paul, the official, friendly Meet/Greet gent. He made sure we found the correct person for our needs. That was BRETT KASAKOFF, sales person. He had shown my husband the vehicle earlier and sent him with a driver and the van to show me at home. After being met by Brett, he took us through the ‘paper process’, carefully explaining all the details and answering all our questions, also carefully and in full. He worked the ‘numbers’ of cost, took it to The Business Manager, Joe Frye. He also ‘massaged’ the numbers, kindly in our favour and took time to explain all the financing ways of ‘ease’ for us. At no time was there any pressure felt to make a purchase nor to buy a more expensive unit. We were offered food, beverages, and a choice of gift during the Company’s big Sale. The vehicle was spotless, thanks to Jordan, who also drove us home and switched plates for us. I would like to say “We have never been so well, over the years and two provinces.” We look forward to the pleasure of a vehicle for our particular needs, at a price we were happy about and also to a social visit with Brett again. He did a great job for us and was acutely considerate and agreeable. 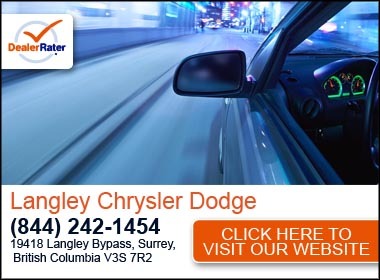 We heartily recommend Willowbrook Chrysler, Langley, to anyone and everyone. Thanks so much fellows. "Way over priced used vehicles"
Went to the dealership today to look at a 2013 chrysler 200 convertible. A couple of things, no gas in car, vehicle was dirty, inside and out, and car would not start. Price tag on outside said $24000., Asked why so high, answer was the Indo Canadian love to come and dicker the price down, so they start very high. Checked Gar Guru, related car had been in the dealer for almost six months. Lastly sales manager final offer wanted over $4000.00 over any retail price I have checked.. He related that was his price, if not he would leave it to summer and get more, nice, REALLY My conclusion, this dealer is way over prices on their vehicles, not wanting to make fair counter offers, and it appears to be a real waste of my time and efforts. I recently lost my brother and are dealing with his estate. He purchased a 2018 Dodge Ram Limited from this dealership for $68,000 and only drove it a few times clocking 1800 kms on it before he passed away. I first contacted the sales Manger that his card was attached to the paperwork (Tim) to see if they could do something about buying the truck back. I will note that my brother had purchased a few vehicles in the past from this dealership. After a week of trying to get in touch with Tim I contacted the General Manager (Curtis). He had someone call me back (Jordan) who told me he had sold the truck to my brother and knew him well. He had sold other vehicles to my brother. He said he would get back to me the next day no later than noon with a offer. Well at 4 pm he finally sent me a text (not even a bother to call) with a offer of $41,000. After reading the text it made sense as to why he wouldn't call. Insulting offer. The same vehicle is selling at lots of dealerships with the discounts applied between $58,000 to $68,000. Now I know a dealerships need to be profitable to remain in business but being as this dealership sold the vehicle in the first place, made their profit on, its very upsetting to see that they want to low ball the price and attempt to make another $15,000 ++ on it. They really need to look up the word "empathy" Disgusting business practices. From a morale perspective I would suggest that anyone looking to purchase a vehicle look at other dealers. "Warranty means you still have to pay!!!" The oil pressure low light came on my Jeep Compass with 5,500 K. They said it's because there wasn't enough oil, how can a new car with not enough oil and it wasn't even time for it's first service., where did the oil go? Instead of adding more oil as a warranty item, I was charged for over $100 worth of oil. I think it was JJ or CJ. A abbrivated name.